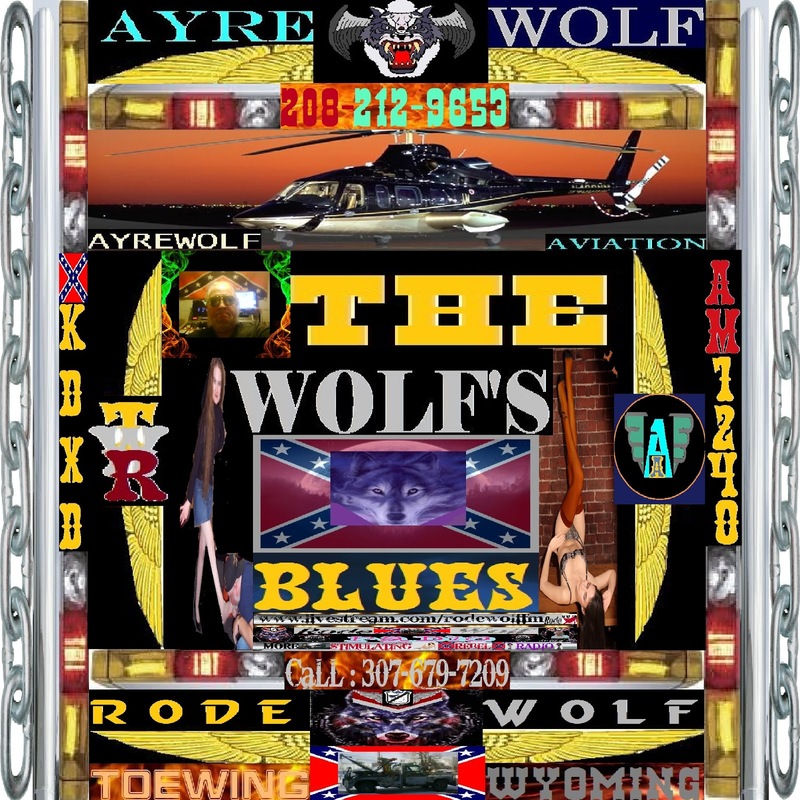 Just had to put this in here this morning before I get into high gear producing of the over the air version of HazzardAyre Radio. Before I do, while I can fully understand in all ways why Cody-Lee departed the Lair for places Kansas , now that we ARE on AIR over the AIR means perhaps she left a bit too soon. 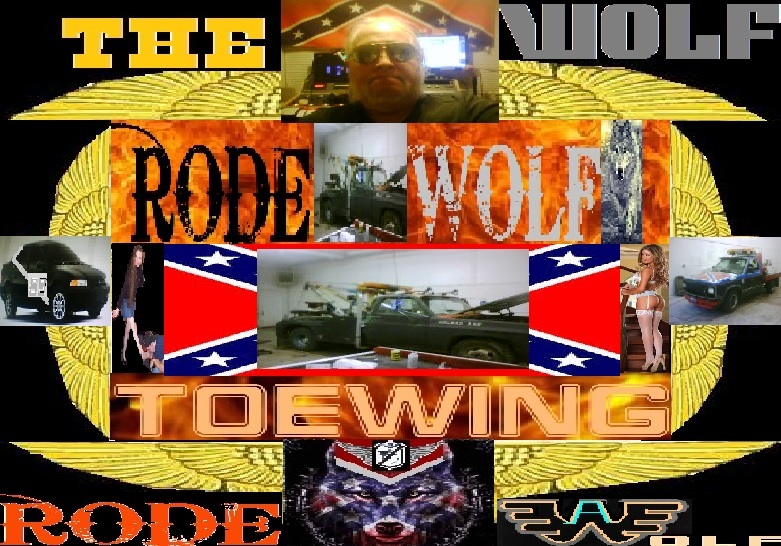 That said, I have seen and heard many newbees and beginners in radio, I have not heard or worked with many that have the abilities and drive Cody-Lee does. I'd give her a recommend any time to any broadcaster. While Cody-Lee and many others her age, never grew up doing live radio, where you introduced tunes, did news, weather and time checks, and just did on air comedy. Those skills are few in today's radio board minders. There's a BIG difference between a Board keeper or tender and a Radio Personality. The last word being PERSONALITY, where you inputed some comedic attributes and humorous antidotes . Howard Stern re introduced those skills, and put out those ideas in his made for a movie called Private Parts in 1997-98. It was from that although I was using the idea years before, but Stern reintroduced the idea of having , preferable female co-host or co-anchor. Along the lines of comedy teams and duos of the mid 20's to mid 50's. One would be the straight man the other the zanny sidekick. The two balanced out the show. While few of today's radio people want another person in their studio, while they are on air, the concept is popular. Stern does it with Robin(Quivers) as his news person but also being the straight person. While Stern inputs the comedic bits, and off the wall humor, like smelling a hot models farts for a rating . Of course there's also the Bob and Tom Show, where there's 3 guys including Bob & Tom, and of course the female newsperson Kristy. The the combination flat works. 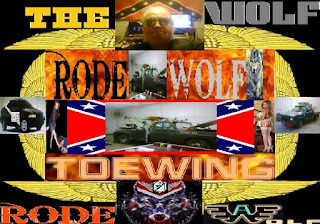 This has been my concept for many years from our Robin on the original Dixie Diesel Trucker Radio show, to Nurse GoodBody on AyreWolfFM, and the short lived Cody-Lee. Cody was a solo artist and having a eye over the shoulder was not her style of radio. Plus the fact we never could get the funding for the gig here in Etown. That said, had we done that might have worked out much better. I tried to fire up and use my Windows LiveWriter program found that both my WordPress and LiveWriter program, are kaput. So I say pee on WordPress, at least for now. Finally and I don't know why this crept into my crainium. But I got to thinking about that little feller made by Microsoft Bob, that was Clippy the Microsoft Office Assistant. I thought about working up a movie after we clear a heap amount of copyrights, but get the entire bunch of Windows/Microsoft Office assistants. From Rover that little dog, to Clippy, and the Wizard and so on. Work up one helluva movie. Where the little Clippy wakes up and goes from an animated on screen helper, to a living being that hops out off the screen and accomplishes some live earth shattering deed. Where Clippy gets revenge on those that stopped his rise to popularity. On Movies. The Knytes for many years has been colaborating and concepting a thing of making a historical and hysterical movie of the start to how we are today of the Club. Finding and working with young children that are of the age we were when the Club was created to the point we came of age in Hazzard , at the Polish Palace aka Gearheads Malt Shoppe of Hazzard, where 10 gearheads with southern roots got together to create a home brewed organization of hot rodders in a rural area, who just happened to love all things Dukes-of-Hazzard. Being fans of things Hazzard County, is what spurred my research to finding my southern ancestors. I think many others were encouraged to do that from watching the Dukes. 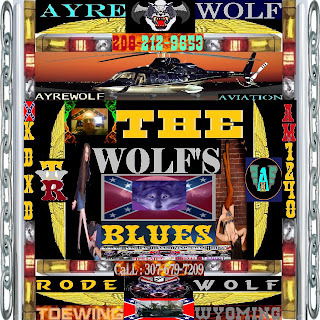 All of a sudden here was a TV show that looked into moonshine runners turned into home town heros. The original movie(which I own a copy of) was called the MoonRunners. That in few ways was anything like the Dukes or vice versa. But everytime the show was on I'd make a comment, my Mom would say, that's your roots, so I'd go to the Geneology liabrary and such and look these things up. At that time, Internet and such was none existent. But there was microfilm and Liabrary records and such so I nose dived into that historical information. So The Club got together in 1980. It took two years to get all assembled from getting a state charter where a Idaho State Senator, that lived in our area had the town nicknamed Hazzard, after MY General Lee Dodge Charger showed up. 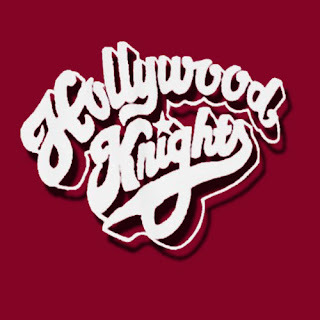 At the time, there was a movie that was running called the, Hollywood Knights. thoughts ran into my head about what to name OUR organization, but a trip to Pocatello to fetch a bike, saw and visited with a car club in Pocatello, called the Squires LTD. I thought whats a bit more superior to a Squire? A Knight. So I got together with the guys, and shazzam the original. 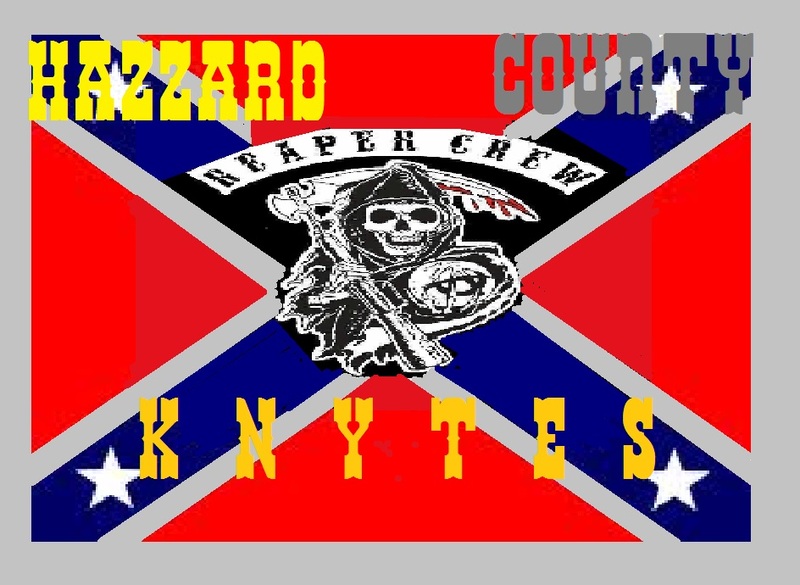 Hazzard County Knights was born. However there was a notice that came about violation of a copyright. We couldn't use the word Knight. Really? 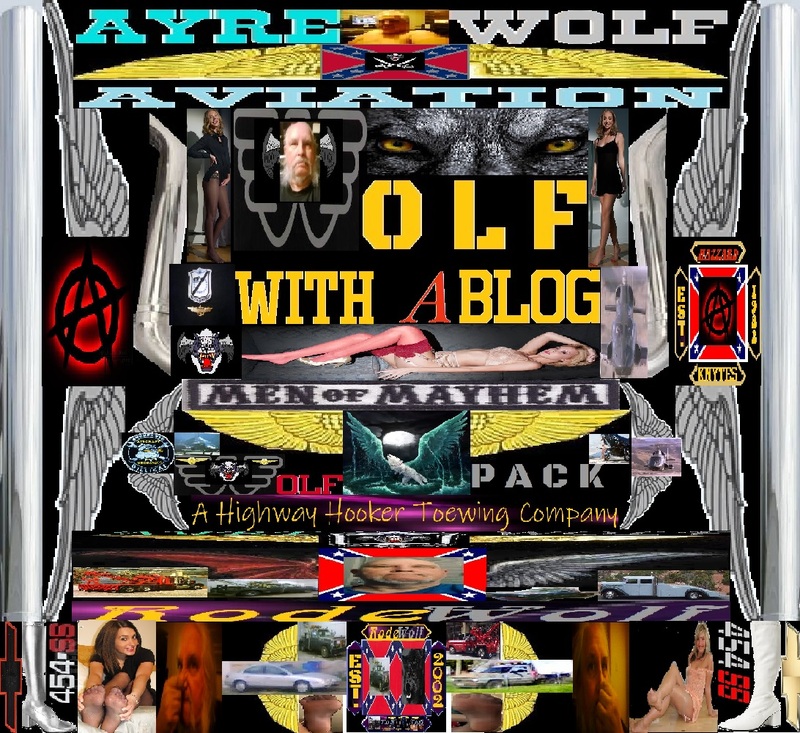 Okay, so was taking a dump, and saw a article in LowRider Magazine, of a car called the Knyte(knight). Hmmm, I thought that works. 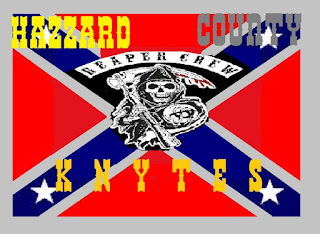 Then reading further saw the words Kustmz For customs came into view and ultimately assembled together we had the Hazzard County Knytes Kustmz Association. We flat ruled as far as tricked out kemps in our area. Kemps is slang for lead sleads or old style big cars and trucks. Mostly built in the mid 40's to mid 1960's. 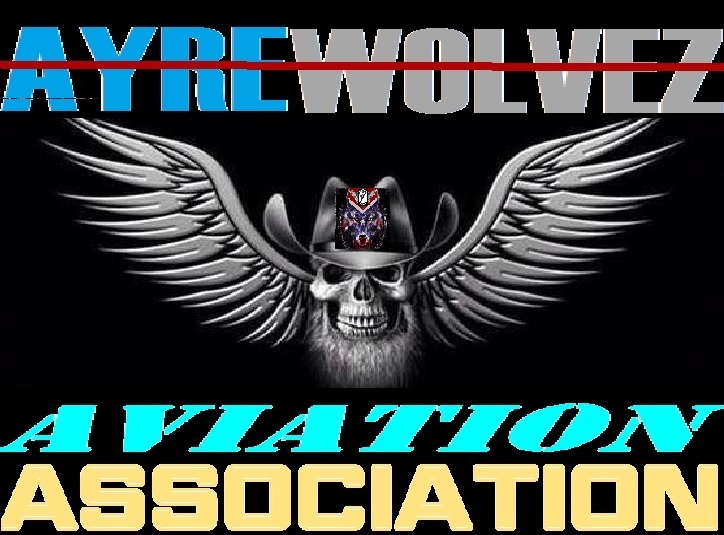 The Hazzard County Knytes still lives under the umbrella of two organizations today, The Knytes-of-Dixie, and the AyreWolvez Military Aviation Association. All of which supports the others. 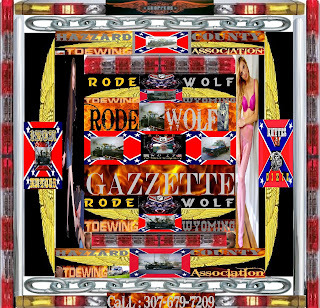 However the community service and so on, plus the efforts of preserving and resurrection of all things southern or Dixie heritage and history. All of this needs to be documented and really needs the story told. 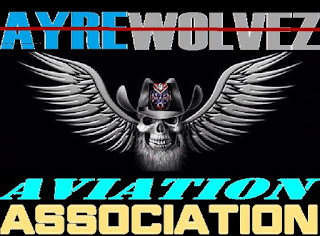 So that movie idea, is more important than ever since many of our members and original officers etc are getting old, and the Reaper waits. This is why there is the cry for donations and fund raising is going on. More over a location central for all to be able to meet, greet and get things done. Enter the town of Burley Idaho. More on that in my next entry here, but there's much going on, in and around the organization. Now if we can just get our Angel from Texas more involved and a few other outsiders that might have research and or computer/radio skills, would be the best foundation builders.